An Event to Remind Us of The Sweetest Music in the World. But Debbie’s way of singing is a dream for most others you see, Debbie sings with the Mormon Tabernacle Choir (MTC). At any given time, they pull into town after taking up three airplanes, 11 buses, and 200 rooms to house the singers and musicians—-all volunteer—-mega-known singing group. Their precision and talent is known world-wide; they are, in essence, the best at what they do. They work, rehearse and perform. Sometimes the music is ‘still wet’; meaning the sheet music they receive is barely dry when they start their rehearsals. Of everything the Mormon Tabernacle Choir (MTC) is known to be, Debbie shares that her favorite is the way they uplift people. She has shared the stage with so many celebrities and this year, their holiday concert on public TV, will be no less as spectacular as the world-famous Mormon Tabernacle Choir will be joined by the Muppets. Debbie’s eyes twinkle when she shares, “Oh they were just wonderful. Very professional. And their mission, like ours, is to lift spirits as well”. Thus was my flight this morning at 5:00 am after getting home late from a black tie event in New York City…….but not just any black tie event, one that lifts spirits as Debbie shared of her beloved, Mormon Tabernacle Choir. By doing something extremely positive and uplifting. When almost 800 people are in the room together, you can bet your life that there was ‘much rehearsal’ in making sure everything went without a hitch. The Unlock the Cure Empire Ball was about to begin. It can be pretty noisy when you get this many people in the same room at the same time. But just as the conductor begins the 360 voices of the MTC, and the room silences; so too did this event come to a complete hush as one of the honorees, Carl Kuehner III spoke of his nephew, Matthew. Matthew is a wonderful young boy who has had diabetes for some time, even at his young age. He does not like it when he leaves a room and comes back in and people stare at him as if he is different, knowing he was out checking a blood sugar or dosing insulin. His uncle shares how, once, there was a fire drill at school. After all of the students exited the building Matthew began to panic and ran back into the building after exiting, knowing that he had left his diabetes supplies in the building, “No child should have to live that way”, Carl shares. He’s right, no one should have to live that way. The tears in the room showed that many agreed. When it’s safe and common to say, “I don’t believe in a cure, why bother?”, those involved in orchestrating this incredible evening believe completely otherwise and quite frankly, we should all take note. You see Peter DiCapua, the Chairman of the event and this year’s Life Time Achievement Award Recipient (it will bear his name moving forward) does not have a direct family connection to diabetes. Yet for over thirty years he has been involved with this event in a leadership position because he has seen the devastation of diabetes through his many friends who DO LIVE with this disease. We, who do have loved ones, should follow Peter’s lead; WE OWE our children nothing less. Peter takes the numerous honorees down to the DRI each year to tour it, to listen, to ask questions, and to believe; as he does. Peter has an incredible business mind and all those participating in the New York City-largest-of-its-kind Real Estate Black-Tie event which has been around over 30 year and has raised over 35 million dollars, well…..they take this VERY seriously. They search all over to make sure they are involved in one of the best places to invest their money to find a cure. As my dear friend Charlie Rizzo ( a founder of this event) taught me a long time ago, I have to do what I do, it’s for my children. Others do not HAVE TO be involved at all, but they choose to. I also am biased toward the DRI; I have never said otherwise. I have searched long and hard also and would leave in a New York minute if I thought some-place else was worth the incredible effort of so many. And THAT attitude, my dear friends, will always be music to our ears. 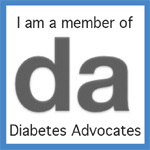 Building an Empire for Our Children with Diabetes…..They Don’t Need to, but they Surely Do!!!!!!! I have said it before; I have to do what I do. It’s a promise I MADE to my daughter and again, to my son. You probably made the same promise. Last week, I attended a dinner. Well not ‘just any dinner’ but the annual Empire Ball in New York City benefitting the Diabetes Research Institute (DRI). Over a thousand people attended. Chris Wragge, Super-Anchor from CBS was there, Football great, Boomer Esiason was there (and gave a heartfelt speech comparing the success for his son’s battle with CF, and the promise of great things ahead from the DRI), and business people from all over the area. This annul event (30 years and running) raised over 1.2 million dollar (over 32 million dollars to date). There were heartfelt speeches from so many; letters from the Governor and Mayor of New York; but these highlights are not what I found to be the most fascinating aspect of this dinner, although hugely appreciative. Dinners are dinners. Every charity organizes black-tie dinners. At those affairs, there are scores of volunteers involved; most of them have a family member with diabetes. Many of those wonderful volunteers are parents of children with diabetes. What I do, and what others do; well we have to do what we do, don’t we? It’s for our kids. If we want to move the dial in the diabetes world of our children, we need to be active in diabetes causes. This is about our children. As I stated, I HAVE TO do what I do—it is my personal connection, with two children living with the disease every day, that drives me forward with every ounce of energy I have. With the exception of a small handful, these attendees did not have a direct connection to diabetes. Few knew the lives we lead; few new our ‘new normal’ since diabetes moved into our homes. Very few. Why would they attend? Over a thousand people in attendance and I asked a few people why they were involved, why they came. You see, these people had no diabetes connection (for the most part). These people do not have to do this? They all, I’m sure, have their own charity worthy of support. But on this night, at this event, they are here for you, your children, and mine as well. They want to “Unlock the Cure”, as the event’s tagline states. When you look into their eyes, as I did, you would be convinced that they are driven to that end. Many of these companies were part of rebuilding New York City after 911, one brick at a time; and they are not active in anything ‘just to be active’. They are active because they believe they can finish the job, it’s how they run a business. They do not start, or take part in anything, unless they firmly believe that the job will be completed. As I pulled out of the Midtown Tunnel heading home for the evening, I wiped the tears that were streaming down my cheeks. The thought that, on a clear day, you can look out from atop a skyscraper in New York City and see forever. And many of those responsible for many of those buildings, and their management, and their upkeep, and their legal matters, and their financial matters were in one room, on one night, for one reason. A big THANK YOU and God Bless to all of those responsible for creating magic on this night. For me, that’s a promise worth building upon; one brick at a time. In NYC for 12-12-12……But Not for a Concert……For a Cure! 12-12-12 in New York City. At a concert? Nope. I found it interesting that just a few blocks away from probably the biggest concert since “We Are the World” joined together to create an album, there was a huge gathering of people together for you (if you have diabetes) and your children (if they have diabetes). It was a ‘concerted’ effort on 12-12-12 in New york City where a thousand people raised money for a cure. But this is not just a story of en event that raised well north of one million dollars (that is correct, ^ of $1,000,000) for a cure. It’s a line that I heard….and I have heard it before. The founder of this incredible event, Charlie Rizzo (I have written about Charlie, a dad who does not understand the meaning of the words, ‘burned out’) once stated, ‘I have to do this, so many more do not”. And it is that line regarding the Empire Ball, Unlock the Cure that I need to you to focus on today. One of the major forces involved with this incredible event (pictured in the middle of the picture with DRIF President and CEO Bob Pearlman on his right and Charlie Rizzo on his left) is a man named Peter DiCapua. To my understanding Peter does not have a major connection to diabetes, well he didn’t when he started working on this event years ago. He does now because of Charlie and the so many more honorees over the years, and so many more like me; who could never thank him enough for what he does for our loved ones….and for yours. 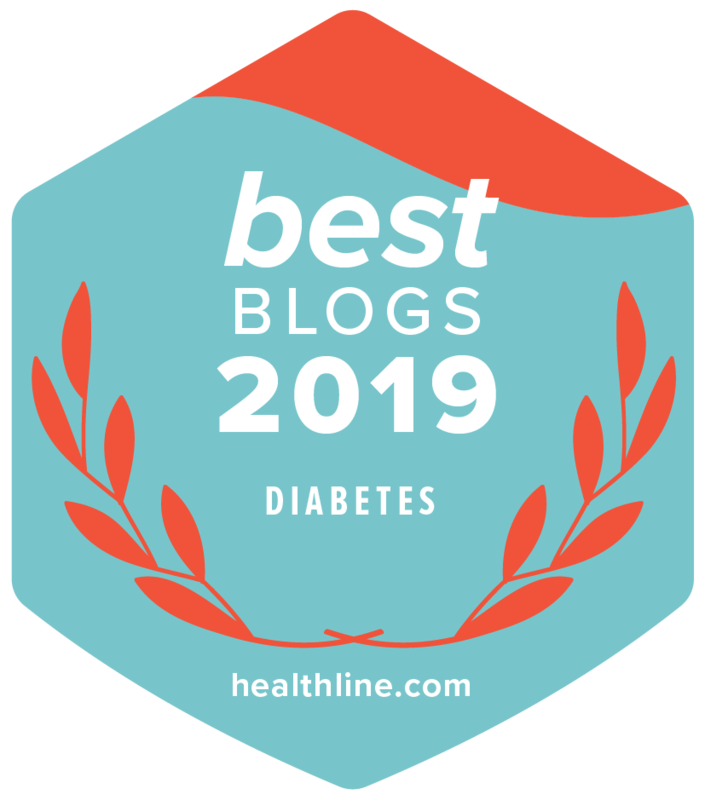 For those of us who have diabetes in our family, we have to do what we do. But for someone who does it on the basis of just wanting to make a difference; well that’s pretty special isn’t it? Peter is an extreme savvy and sharp businessman. He is an incredible organizer and hugely influential powerhouse for this event. I was astounded on how many past honorees of this event were in the room last night and have stayed involved because it is important enough. Peter makes that point clear at every turn. One does not merely attend this event, this event becomes part of all who attend. Peter, just like Charlie Rizzo, will be the first one to deflect any recognition off him to the over 50 others who help organize this event. But all will agree that it is Peter’s leadership and the way he organizes this event that makes them return each and every year. Diabetes just will not do. Peter’s work is all year. He works on getting the honorees, having them tour the DRI because it is important they truly know what it is they are supporting, and he makes sure the details are ………well……all detailed. Peter does not have to do this. Knowing Peter, I am sure he helps others as well. I’m also sure he has nine million other things that he could be doing also and yet, he has decided that we will one day cure diabetes and he wants to be part. Not necessarily for himself but for you, for me, and for the millions who wait for themselves or for their kids. Over 30 million dollars later Peter is still at it. He doesn’t have to, but he does. Aren’t we lucky? If that doesn’t humble you, nothing will. Remember that there are others like him in our lives who help us in our journey that do it for the only reason to help. Need to find holiday spirit, think of those people. The 12-12-12 concert certainly had their stars, a few blocks away the diabetes community had one of their own………his name is Peter DiCapua; thank you Peter.